“I worked for the county before I retired, and we did a lot to help people,” Lerma said. “But I never thought I would be the one being helped,” he added. The Refugio couple’s home was destroyed by Hurricane Harvey. The Lermas applied for help through the Coastal Bend Recovery Development Group (CBDRG) and a conglomeration of other organizations and volunteers. 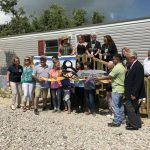 Now they have a new manufactured home on their property on Bayou Street. The home was the first of many to eventually be delivered. President of the group, Pastor Beth Tatum of Sinton, where she is pastor of the First United Methodist Church, said there are about 300 active cases being addressed in the six counties hit by Harvey. During the week of National Volunteer Recognition, the celebration of the home highlighted the collaboration that is working to assist clients in their recovery. 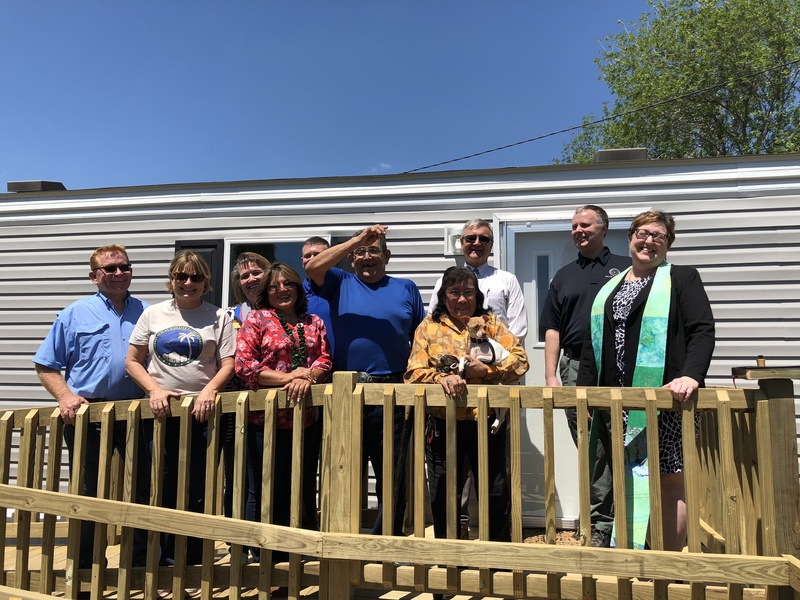 Support for the Lermas came from funding donated through Refugio County, CBDRG, Rio Texas Annual Conference of the United Methodist Church and Episcopal Diocese of West Texas. Christian Public Services volunteers constructed the accessibility ramp. Other home furnishings were supplied by the Salvation Army. The Coastal Bend Food Bank filled the Lerma’s pantry with food staples and cleaning supplies. And three students from Henry Scott Middle School in Denison donated gift cards, which are being used to help with bedding.